This PureAV DVI-to-HDMI Interface Video Adapter allows you to connect a DVI cable to an HDMI interface-enabled component. 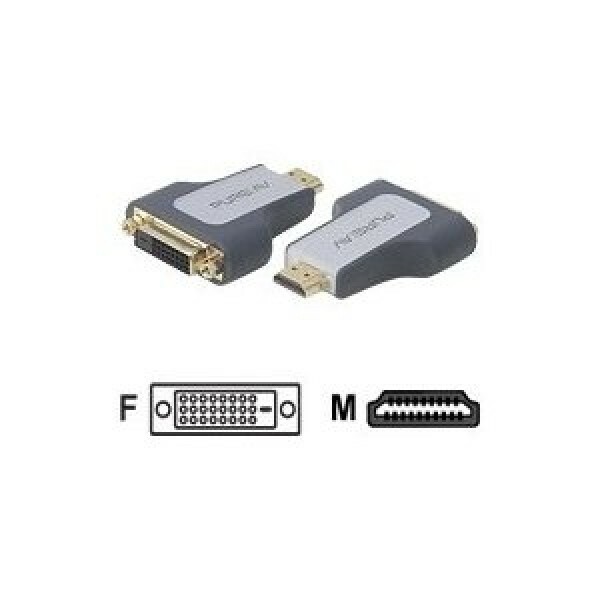 The DVI-to-HDMI Interface Video Adapter consists of a female DVI and a male HDMI connector. Plug the male HDMI side of the Adapter into your HDMI-enabled component, and then connect the DVI cable from the other component into the DVI female end of the Adapter.Ensures the maximum signal transfer for brighter, more accurate colours and sharper images.